Langtons today released their sixth incarnation of their classification of Australian wines. The last classification was only four years ago, in 2010. This time around, the re-jig is largely a good news affair. More wines have been included (139 wines are now classified, up from 123 classified in 2010), no wines have been declassified and the four categories of “exceptional”, “outstanding”, “excellent” and “distinguished” categories have given way to three, with the lowest “distinguished” category being jettisoned. In my opinion, it’s hard not to be just a little bit cynical of a re-classification that heads only in one direction. Nonetheless, it is still probably the best and most watched classification we have in Australia regarding the secondary market performance and reputation of Australian wine. 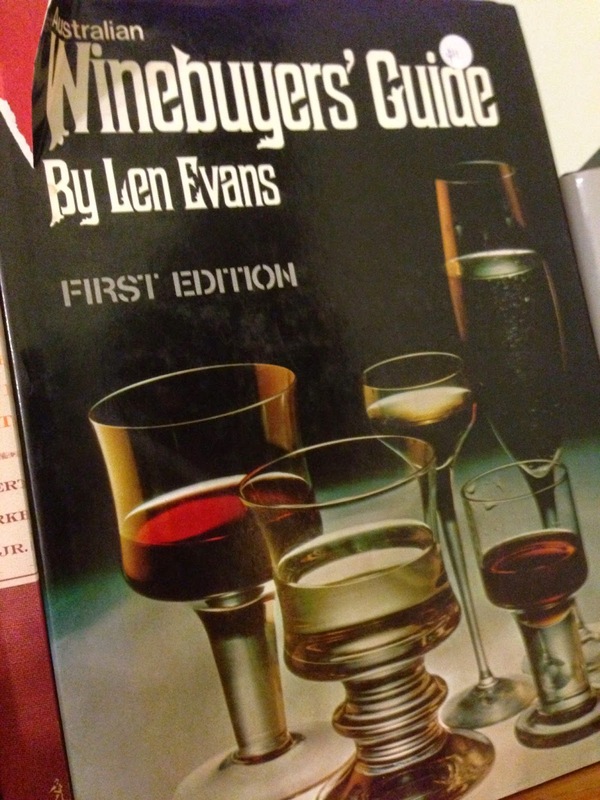 An earlier wine buying guide. The glasses are not included. Below is a snapshot of Langtons’ changes. There was some effort involved here in putting this together as the Langtons website, well to put it politely, has undergone some changes. If there are any errors or misses, please chime in. With 21 wines now making the grade as Exceptional, while there could be few quibbles with the quality of the wines listed, there continues I think to be room to argue that some wines in the exceptional category are more equal than others. Perhaps a new Chairman’s Lounge category is required. There are few, if any, surprises on quality grounds on this list. Still, there’s a lot of upgrading going on. In what must be a rather bad day for this winery, the sole downgrade of the entire classification appears to be Hardy’s Eileen Hardy Shiraz, which was downgraded from Outstanding to Excellent as far as I can tell. The entire previous list of Distinguished wines has moved up to the Excellent category, thus completing the release. While it’s great to see so much Australian wine recognised, more generally, I think the classification would benefit from a cap on the overall number of wines in the classification and possibly within categories to put some more tension into the categories going forward.